Yes, I Am The Hero has MFi controller support! I Am The Hero on iOS does support controllers and is compatible with the MFI standard. 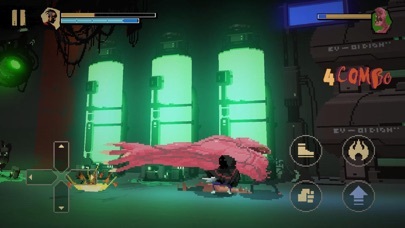 I Am The Hero is a pixel art, beat 'em up, fighting game that tells the story of a "Hero" with a glorious but mysterious past. Is he the hero he thinks he is or is there another side to this legendary figure? 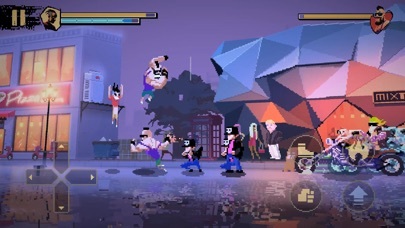 I Am The Hero is a love note to retro gaming, ripped from the fuzzy memories of the developer's childhoods and seasoned with a wild passion for fighting games. If you want a truly modern re-interpretation of classic gaming, then it's time to join the fate and answer one simple question, "Are you the hero?" FEATURES: 1, Fast Moving, Fluid Combat 2, Free Style Combos : trample, juggle, rush, and crush your enemies into submission with your own unique fighting styles 3, Critical Blink: by timing your attacks perfectly you can unleash massive damage on your foes with Critical Blink 4, Support MFi game controllers such as Gamevice or other MFi controllers. GAME MODES: 1, Single Player Campaign 2, Survival Mode Enjoy fast paced, retro action inspired by modern and old-school classics. I Am The Hero supports MFi controllers.